Spliced with clips from his films, including ‘It’s Alive‘ along with his other movies, you can see the big impact that Cohen has made on Hollywood with a hilarious and endearing story about the legendary creative master. This Blu-ray release comes from La La Land, not to be confused with the Oscar-winning movie, but the record company who recently got into the Blu-ray realm. This Blu-ray actually comes with a CD soundtrack of the documentary, which is super cool along with many extras that are detailed below. This is a great documentary. 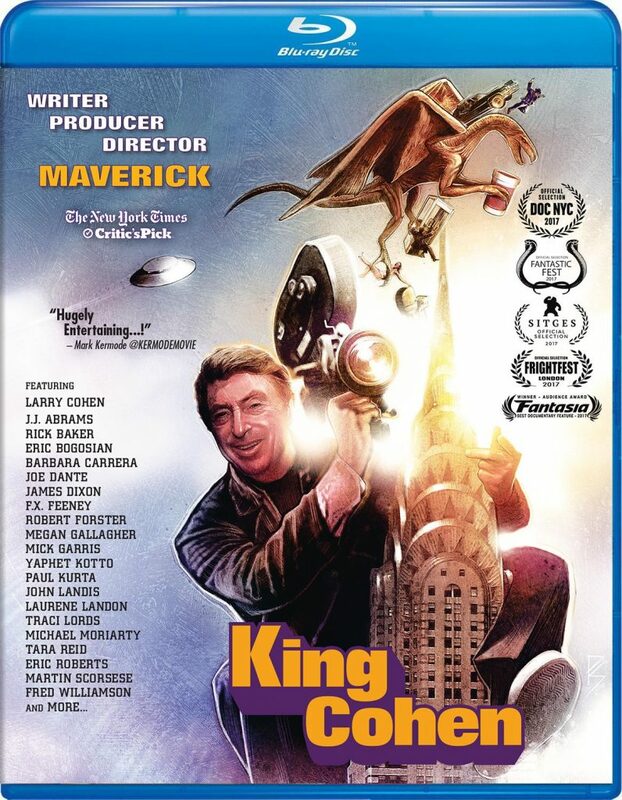 MORE STORIES FROM THE KING’S COURT: Raw interview footage featuring Barbara Carrera, Eric Roberts, Traci Lords, Eric Bogosian, Laurene Landon, Tara Reid, Michael Moriarty, Fred Williamson, Spiro Razatos, Paul Glickman and Daniel Pearl. A.S.C. MONSTERS ON THE TABLE: Larry at home with some monstrous friends. This entry was posted on Thursday, October 18th, 2018 at 11:35 am	and is filed under Film, News, Podcast. You can follow any responses to this entry through the RSS 2.0 feed. You can skip to the end and leave a response. Pinging is currently not allowed.